There is increasing concern in the clinical environment over the handling of mercury spills and maintenance of equipment containing mercury. 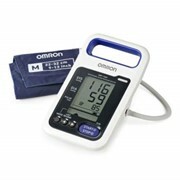 Worldwide regulation to reduce release of harmful material into the environment, including mercury has hastened the imminent need for accurate mercury-free blood pressure meters. 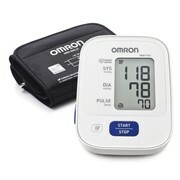 The Omron HEM-907 complies with AAMI (Association for the Advancement of Medical Instrumentation – USA) standards for accuracy in automatic blood pressure measurement. 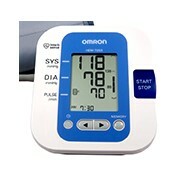 Based on advanced oscillometric measurement method and enhanced with Omron’s fuzzy logic technology, the monitor provides easy and accurate blood pressure readings at all times. 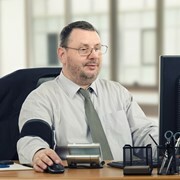 Using advanced fuzzy logic technology, the HEM-907 can determine ideal cuff inflation level based on patient arm size and blood pressure fluctuation. 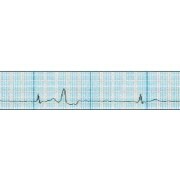 Deflation speed is also automatically optimised. 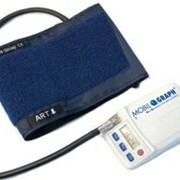 To measure from arm circumferences of 17 to 42 cm, small, medium, and large sizes of cuffs are available. 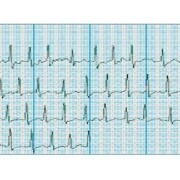 The simple push-button operation also makes training of clinical staff fast and easy. 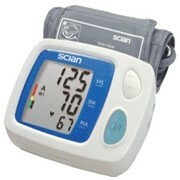 This unit can measure blood pressure with the use of a stethoscope. 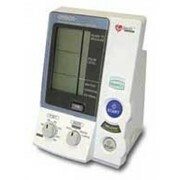 The unit inflates and deflates the cuff automatically, then displays the pressure values. 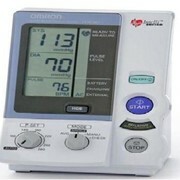 The pulse rate can be synchronised with the pressure as it is digitally displayed. 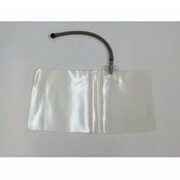 The HEM-907 operates quietly, thereby reducing stress on patient and clinical staff. 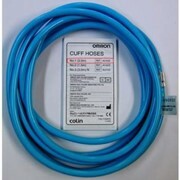 The quiet system also makes it suitable for night-time use by the patient’s bedside. 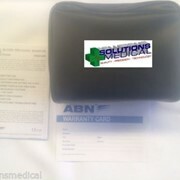 The main unit is lightweight (less than 1kg) and can be moved around easily. Its compact shape easily fits in consultation rooms, by the patients bedside, mounted on walls, or even on poles (as demonstrated below). 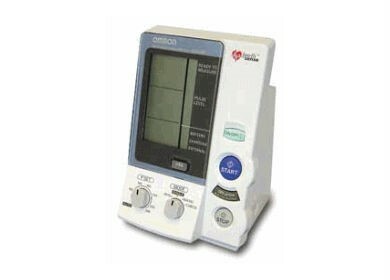 For greater mobility, you may also select to use an optional rechargeable battery for cordless operation.